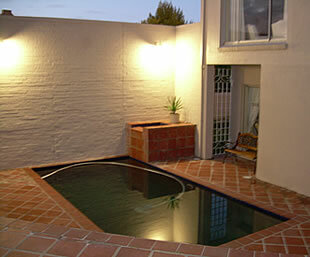 Physical address: 20 Coronata street, Paradyskloof, Stellenbosch. From Stellenbosch town centre, drive in direction of Somerset West on R44 Strand Road. Pass the head offices of Parmalat and Medi Clinic on the left. Turn left, opposite the main entrance of the Stellenbosch Golf Club into Paradyskloof road. Take the first right into Serruria street. Follow Serruria street to the first four way stop. Turn left into Coronata street. The second house on the left is Coronata20 B&B. Please click here to view the map.